The winner and runner-ups of World Mayor 2012 will be chosen based on the number of nominations in relation to the size of their cities and, more importantly, on the persuasiveness and conviction of testimonials received during this year's World Mayor Project. 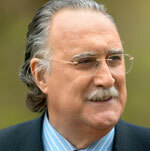 Below we publish a selection of comments received to date about WM nominee Iñaki Azkuna, Mayor of Bilbao, Spain. Mayor Azkuna has signed up to the City Mayors Code of Ethics. Comment: Yo creo que el Señor Azkuna se merece el premio a mejor alcalde del mundo, porque puedo asegurar que los ciudadanos a los que representa están orgullosos de su trabajo y de su persona. - Por ser un buen gestor. Bilbao was an industrial city. With economic developments in recent years the industry has closed and has succeeded Mr. Azkuna transform it into a city of services, known internationally. Bilbao for its industrial past was dirty and dark, under his management has become a garden, with excellent walks and gardens. The buildings have many high quality and have been recovered, cleaning and repairing the facades, with their support. Bilbao has made it a much nicer city to live, reducing traffic, improving public transport and expanding green areas. For all my buttons give this excellent person and mayor. Bilbao era una ciudad industrial. Con las evoluciones económicas de los últimos años la industria se ha cerrado y el Sr. Azkuna ha conseguido transformala en una ciudad de Servicios, conocida a nivel internacional..
Bilbao por su pasado industrial era sucia y oscura, bajo su gestión la ha convertido en un jardín, con excelentes paseos y jardines. Los edificios que tenemos, muchos y de gran calidad, se han recuperado, limpiando y reparando las fachadas, gracias a su apoyo. Ha conseguido que Bilbao sea una ciudad mucho más agradable para vivir, reduciendo el tráfico rodado, mejorando los transportes públicos y ampliando las zonas verdes. Comment: I would like to nominate as candidate, the Mayor of Bilbao, Mr. Iñaki Azkuna. The city of Bilbao has come a long way from the 1980s, when it was immersed in a profound crisis and decline, which it has managed to overcome almost thirty years later, reinventing itself as a city, and adapting to the new times. The renovation of the city began with the construction of the emblematic Guggenheim Museum Bilbao and continued with major investments in infrastructures, including a new airport terminal, the Metro, the tram network, the La Alhóndiga cultural centre and the urban regeneration projects for the districts of Abandoibarra and Zorrozaurre, which are still ongoing. The success of Bilbao's transformation is largely attributed to the integrated and holistic approach to achieve economic, social and physical transformations of the Mayor of Bilbao. His emphasis on environmental clean up, use of culture, internationalization and design, major improvements to the City's infrastructure, as well as the restoration of its historic areas have successfully rejuvenated the city. More significantly, the city has been able to connect investment in infrastructure with social integration. Comment: Es un hombre abierto y directo hacia sus conciudadanos. Prudente en tiempos fáciles y... difíciles. Ademas de culto, tiene sentido del humor. Una excelente persona. (By J J U A, Bilbao).